No matter how technology evolves, there will always be swindlers waiting to steal money from investors. Ever since the Bitcoin first came into the market, it has been a target for cyber criminals. In some cases, cyber criminals will put up an ad on social media that allows you to get Bitcoin at a discounted rate. These are fake Bitcoin exchange scams. To avoid this, you must make sure that no one can check IP that you originally use. You can always do this by hiding your original IP with Le VPN’s IP address. Recently, a group of Ukrainian cyber criminals CoinHoarder successfully stole money worth $50 million in Bitcoin. This, they did use pretty sophisticated technology. It all began with the attack through Google AdWords, which targeted the Bitcoin market. Brand spoofing and phishing scam were some of the techniques used to swindle this huge amount. Not only was the phishing scam convincing, but also effective. The stock market has always been a target for swindlers and criminals. In some cases, cyber criminals will put up an ad on social media that allows you to get Bitcoin at a discounted rate. These are fake Bitcoin exchange scams. To avoid this, you must always check IP of the sender. So, how do you know which Bitcoin exchange portal is safe, and which can lead you right to cyber criminals? When you check IP and web page, make sure that the website is HTTPS and not HTTP. The latter means that the website isn’t encrypted and secure, whereas the former means that your data would remain safe. In some cases, Bitcoin wallets may turn out to be fake. Bitcoin that isn’t going to be bought, sold or exchanged, will be kept in wallets. Thus, since there is no activity as such, you might not be able to spot a fake Bitcoin wallet unless it is too late. In most cases, fake wallets are a kind of malware that may be shown to get control of your system and get other information like your passwords and private keys. The best way to keep your data safe is a Virtual Private Network. Even if you want to get into online trading of Bitcoin, the hackers cannot check IP you are using. 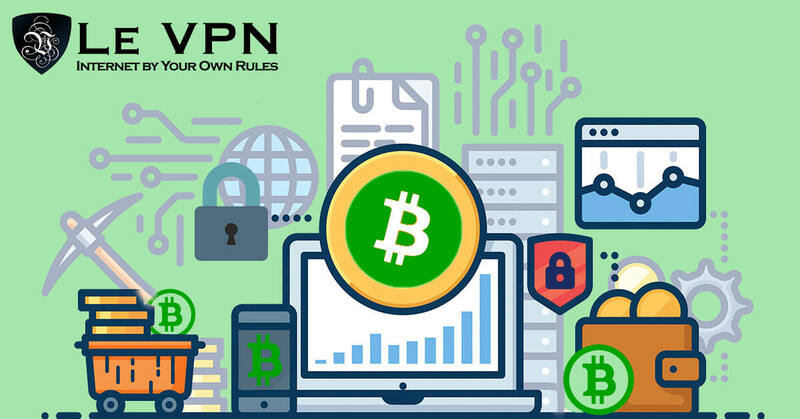 If you were wondering what is a VPN, then a virtual private network is one where your internet services are routed off to a different geographical location. That makes it impossible for your ISP to track your online activities. Here, you replace your original IP with that of the VPN’s. Therefore, no one can check IP, identity as well as your whereabouts. With a VPN, you are safe in the online world. Along with saving your identity, Le VPN makes sure that your system, as well as data, is also secure. Phishing scams are very common as far as Bitcoins are concerned. In a phishing scam, you would be convinced that the website in front of you is a genuine website, one you can trust. However, clicking on the links provided there would lead you directly into the trap. With Le VPN servers, you get an extra layer of digital security. Therefore, you are sure not to compromise on your online actions. Le VPN hides your original IP. As a result, no one can check IP of your system. Additionally, if Australian content is inaccessible in your area, you can bypass the restriction with the free VPN to Australia. Keeping in mind the latest bitcoin scams, it is essential to understand how the cyber criminals target you. These pointers should thus come in handy. Add an extra layer of digital security with Le VPN.